Improve Cybersecurity- Technological advancements are resulting in trends and movements that improve the quality of life and business. One such trend is the “distributed workforce,” wherein organizations are willing and able to employ personnel without any strict requirements for physical presence in offices. Companies have utilized the time saved by avoiding long commutes to increase employee productivity, as well as work-life balance. Data from GlobalWorkplaceAnalytics found that in 2016, around 4.3 million employees held jobs that allowed them to work remotely at least part of the time; a 2016 Gallup report covered by The New York Times (paywall) found that 43% of employed people surveyed spent at least some time working from home. Unfortunately, I’ve found that technological advancement often engages in a tug-of-war with security. As the co-founder of a security operations solution, I’ve seen this rise in remote working lead to a host of security challenges that attackers can leverage while targeting enterprises. 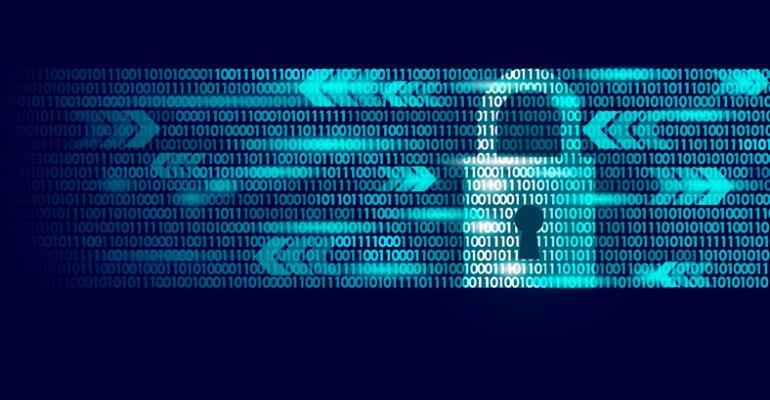 Whether it’s lack of awareness, lenient policy enforcement or deceptive attacker techniques, the result could be a breach with serious repercussions. With the potential monetary impact of cyberattacks estimated at $3.6 billion by Deloitte(paywall) and $3.79 million by IBM and the Ponemon Institute, the business risk is real and present. Let’s look at some of the distributed workforce security challenges. Although cloud adoption seems to be increasing across the board — as evidenced by Gartner’s 21.4% growth projection for 2018 — employees working from home may be more likely to use a range of cloud-hosted applications to perform their daily tasks. While applications bought for and maintained by employers may be more secure, employees tend to use multiple open-source and free-to-use applications for actions ranging from file conversion to file transfer across systems. Each application added to a company’s “fingerprint” increases the chances of compromise; this is due to both an increase in employee login data that can be vulnerable and the actual company files that are stored, converted and transferred using these applications. Late last year, The Guardian reported on a root access bug uncovered in Apple devices that allowed attackers to gain administrator access on target systems and cause dangerous levels of compromise. While that bug is patched and fixed now, as explained by The Verge, the security threat of public wi-fi networks remains. The most secure cyberdefenses cannot stand up to human error. Even if organizations are aware of security threats and communicate them to employees, ingesting and retaining this communication is often not incentivized enough (or made interesting enough) for employees. This could lead to reduced awareness levels and the repetition of the same mistakes that — if employees are working remotely — are much more likely to lead to successful cyberattacks. The post How To Improve Cybersecurity For Your Distributed Workforce appeared first on erpinnews.